Get ready to say “Oh Hello” to your new favorite Netflix special. That’s right Kroll Show and Broadway fanatics — John Mulaney and Nick Kroll’s Oh Hello is headed to Netflix on June 13th. Starting as a recurring sketch on Kroll’s FX comedy show, in which two *very* old New Yorkers, Gil Faizon (Kroll) and George St. Geegland (Mulaney) play tuna pranks on unsuspecting people on their cable access show, the sketch quickly spiraled into its own live show. The forever sold out Oh Hello wrapped in January after more than 100 shows and many fans were worried they’d never get to see George and Gil pull another prank. Luckily Kroll and Mulaney took to Twitter to surprise fans with the Oh Hello Netflix special. The wildly popular Broadway production, which drew practically every celebrity known to man, featured Gil and George, roommates and life-long Upper West Siders, demonstrate an exceptional knowledge of theater, paying homages (or home pages, as they say) to some of the best productions in history. In every show, they would prank an audience member (usually a celebrity) by making them a tuna sandwich with an excessive amount of tuna in the hopes that the prankee would fall victim to “too much tuna.” Despite having one of the weirdest concepts for an official Broadway show, Oh Hello was actually critically acclaimed. 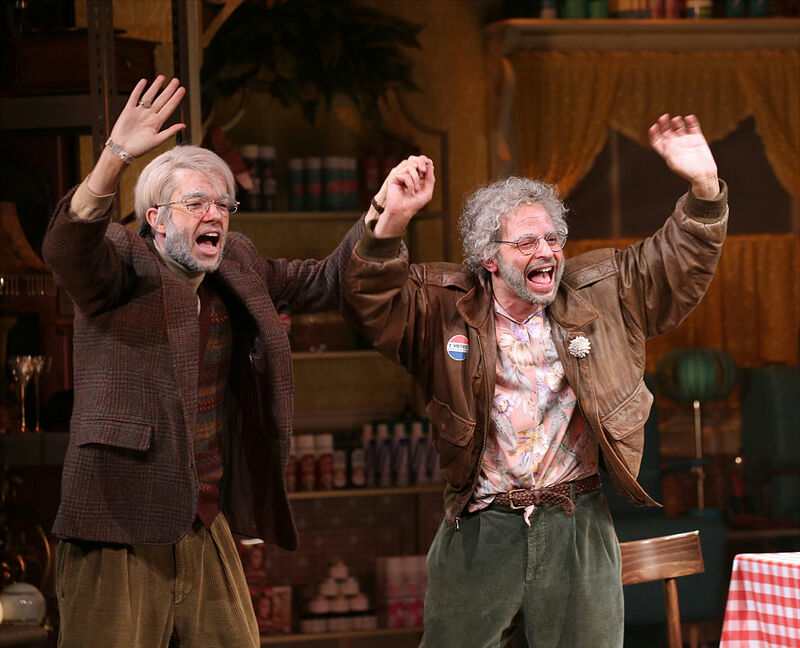 Kroll and Mulaney, who’ve been perfecting these characters since the early 2000s, are two of the funniest people in show business and we’re so happy the filmed two of their last Oh Hello performances for us. On June 13th, we’d all best make ourselves a massive tuna sandwich and prepare to watch the show of a lifetime.